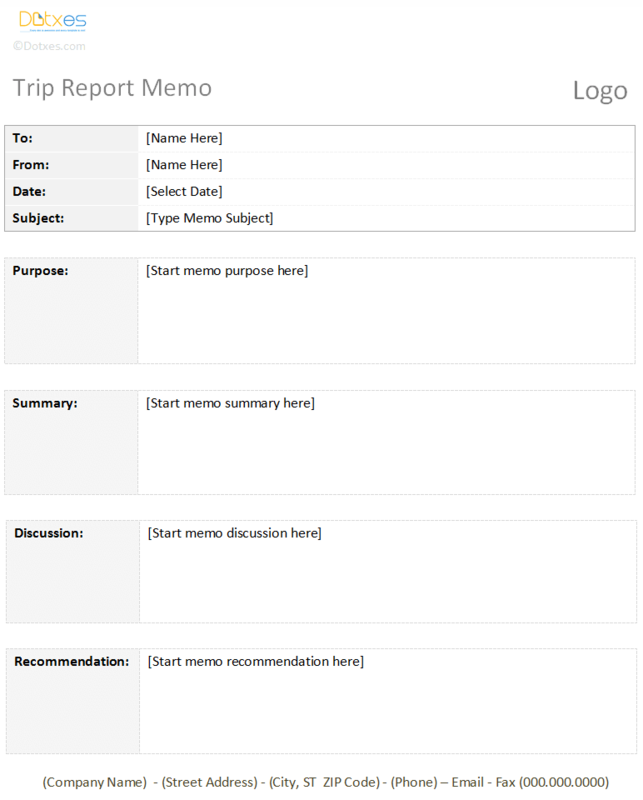 If you are looking to share your recent experiences from a trip that you have taken, in a way that is well-organized and professional, this trip report memo template can help you out. This template provides space for you to share about a trip. It includes fields for the date, the recipient and sender, the purpose of the trip and memo, and a whole lot more. This template can be customized to fit any needs that you may have, and it is easy for anyone to use. Always customize the template to fit any needs that you have. When applicable, include the company name, address, and phone number in the space provided at the bottom of the page. Always fill in as much information as possible in the discussion section. Print multiple copies of the memo, so that everyone involved can have their own copy. I like the fact that the trip template was very easy to use. Just perfect for what I needed. Will use this site again to find the perfect template. First time using. Seems like a GREAT template and good service. Hope to try more.